There's a new user interface coming to the Xbox One that's supposed to make navigating the console faster and easier for users. Microsoft offered a glimpse of the new interface, which will be "coming soon" to users of its console, during its Xbox Daily briefing stream Monday afternoon. The centerpiece of the update is a menu that shows recently played games and recently used applications, which will allow users to pick up where they left off. The menu will also include information about the game, like announcements from its developers about things like updates. There's a new "Trending on Xbox Live" section on the right-hand side of the screen that shows what's popular on Microsoft's gaming platform, including new videos, popular content creators and games that are being played by a large number of people. The new UI also features a slide-out menu that opens from the left-hand side of the screen when someone double-taps the Xbox button on a controller. It provides quick access to information like users' notifications, messages and friends list. 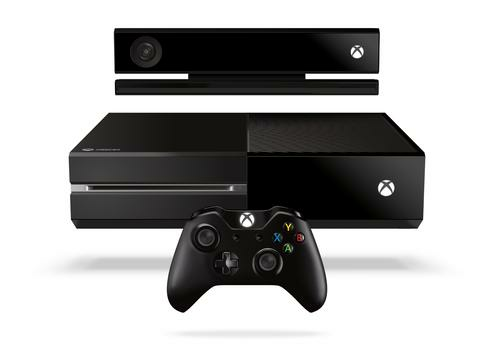 That slide-out drawer will work both within the Xbox One's menu system, as well as inside one of the console's games. When opened inside a game, the menu will block out part of the screen, but won't interrupt gameplay, so people can keep moving through a virtual world while checking for new information. In addition, Cortana will play a larger role with the new console and let users run complex commands without taking their attention away from the game. For example, users will be able to tell Microsoft's virtual assistant to record the past minute of gameplay and share it with their Xbox Live activity feed while continuing to hack and slash their way through enemies. Another command makes it possible to start a voice chat party and invite people from a user's friends list without fiddling with menus. It's not clear if the Cortana integration will only work with the Kinect or if it will also function with an Xbox One-compatible headset. The deeper integration is a part of Microsoft's increasing use of its virtual assistant alongside the launch of Windows 10. Cortana was first released on Windows Phone last year, and will be coming to desktops and tablets on July 29 when Windows 10 is made available to consumers. Microsoft hasn't given a definitive release date for the new interface other than to say that it will be coming "later this year."